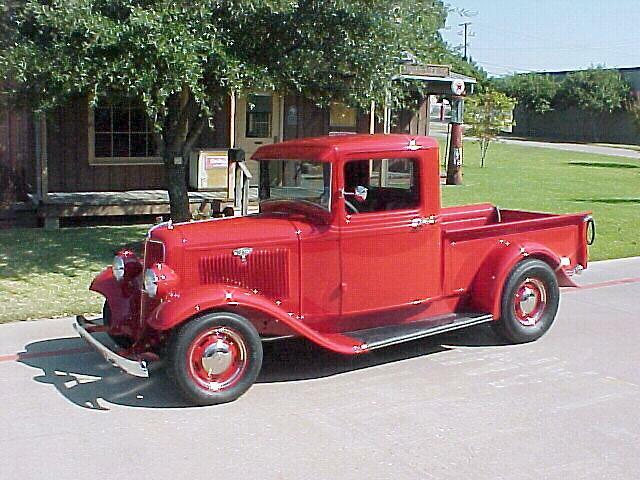 This is Marilynn’s 1934 Ford pickup. It features our Mustang II based front suspension and our leaf spring rear suspension . 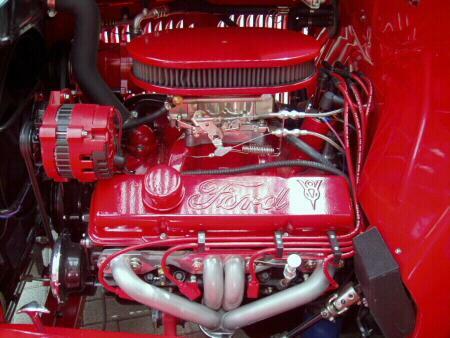 It’s all steel and has valve covers that just give the Ford crowd fits. 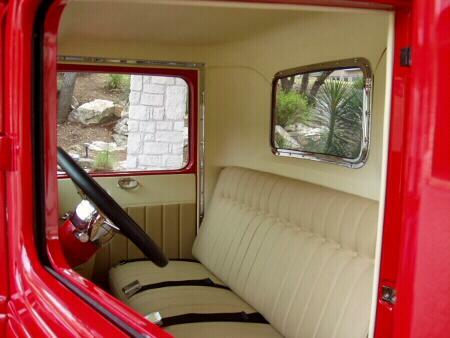 Chevy 350 cu.in. 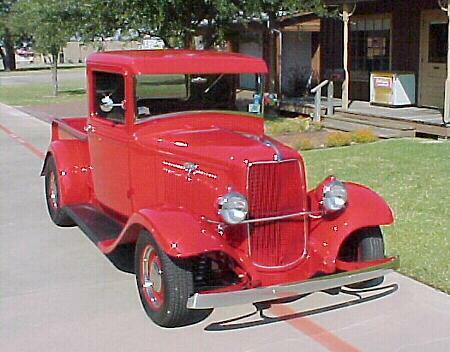 motor, Holley 4 bbl., Edelbrock Performer intake, A/C, 350 turbo trans, headers, Flow Master exhausts, disc brakes. Had the valve covers and air breather special machined out of billet block.